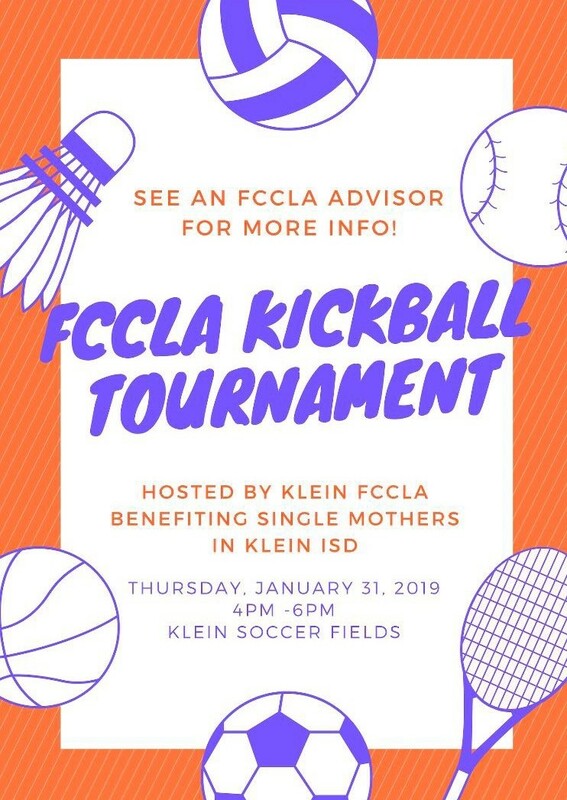 Thursday Jan 31, FCCLA will be hosting a kickball tournament at 4 p.m. at the soccer fields. Those that are playing will need to pay $5. All proceeds will be going to single mothers.